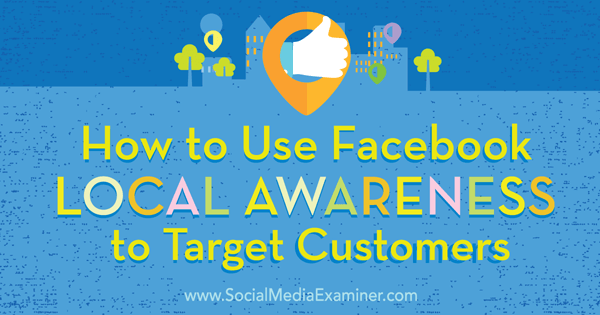 Discover how to use Facebook Local Awareness Ads to target customers. 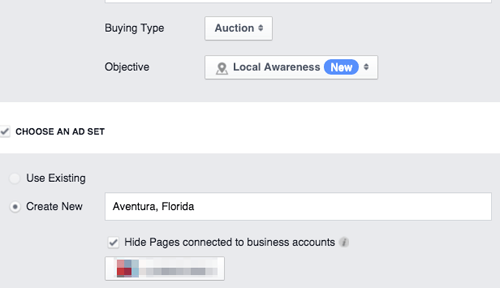 You can now open Power Editor from within the standard Facebook Ads Manager navigation menu. Select Local Awareness as your objective if you want to promote a local business. Remember to use only one business location per campaign. 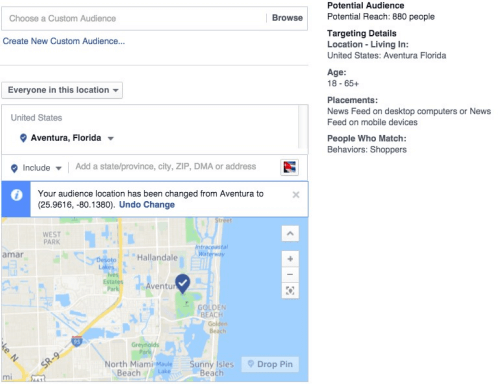 To determine who sees your ads on Facebook, you’ll edit the audience section of your ad set. You need to determine two parameters: the geographic location you want to target and the custom audience you want to target. 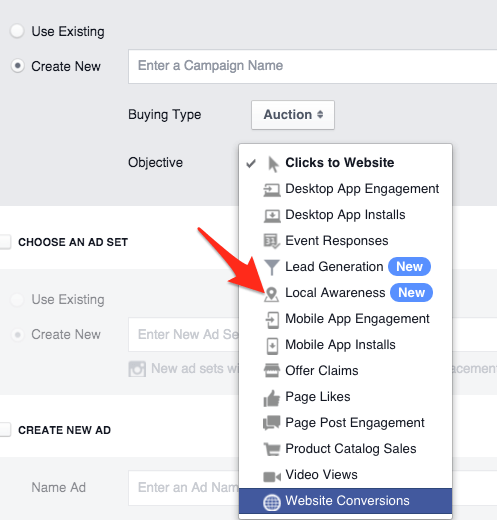 Use behavior targeting to drill down to the right audience for your ad. For instance, if you want to target online shoppers as well as in-store customers, create two different ad sets so you can customize the budget and track the performance of each one separately. 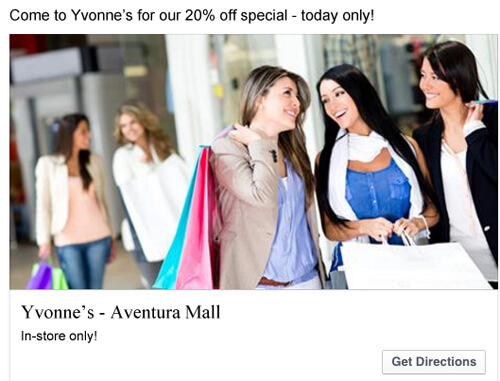 These ad sets promote the same business location but target audiences with different behaviors. Successful local awareness ads motivate people to interact with your business. 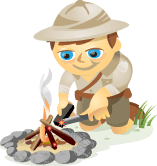 Complete campaigns can be scaled easily. Rename each campaign to match its location. Adjust your targeting to each location. What do you think? Have your tried local awareness ads for your business yet? Did you see an increase in foot traffic? Have you developed techniques that helped you increase your return on investment? Please share your thoughts in the comments below. 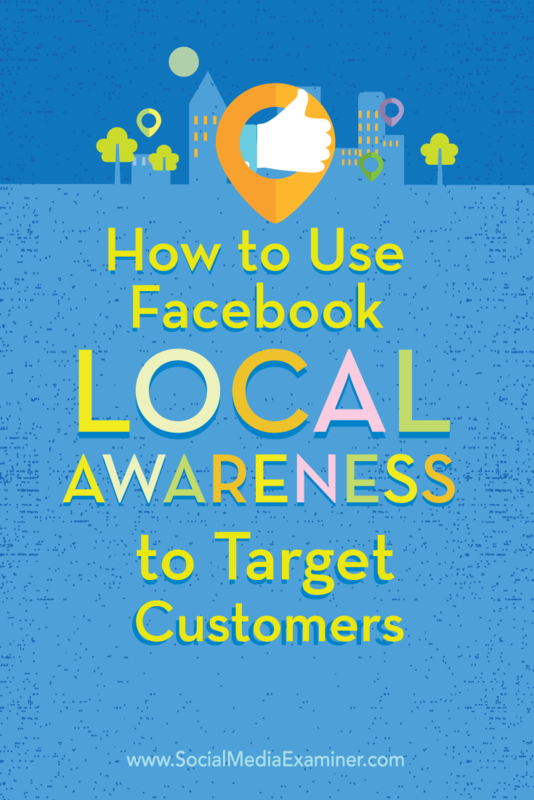 Tips for using Facebook Local Awareness Ads to target customers.